Sony released a new featurette trailer for the upcoming Venom, which teases the Jekyll & Hyde nature of Eddie Brock and the symbiote. Tom Hardy also revealed the Venom IMAX poster on his Instagram account. See below! Another promo was released earlier today featuring stellar comic book artist Adi Granov with a contest announced in conjunction with Bremont Watches. 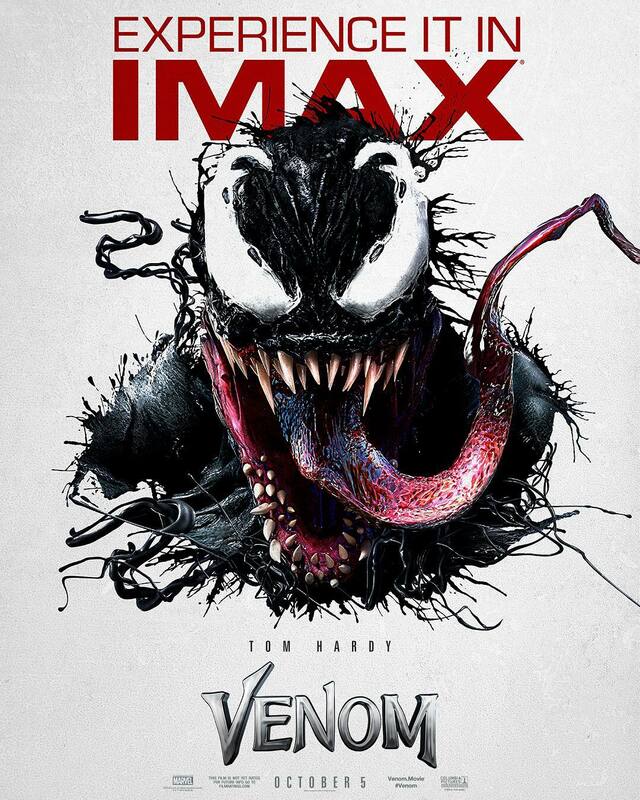 The film has an October 5, 2018 release also starring Michelle Williams, Riz Ahmed, Scott Haze, Reid Scott and Ron Cephas Jones, with the movie described as: One of Marvel’s most enigmatic, complex and badass characters comes to the big screen, starring Academy Award nominated actor Tom Hardy as the lethal protector Venom.